Seaglass sailboat, handmade original framed and matted artwork made from 100% beach found treasures. 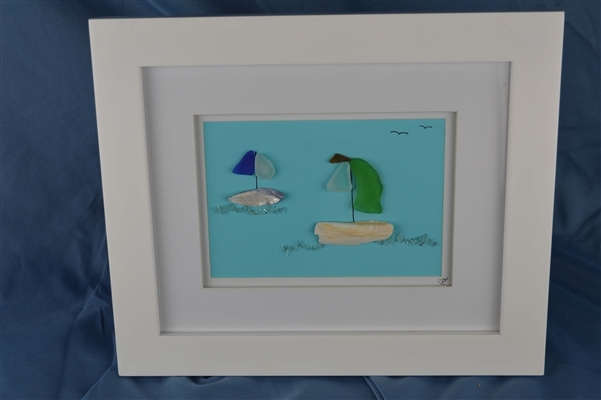 Seaglass sailboats scene made from seaglass, and natural beach treasures in a white frame. Overall frame dimensions approximately: 10 inches x 12 inches. Inside matted scene measures approximately: 4.38 inches x 6.38 inches. Please see photo for exact piece of art. 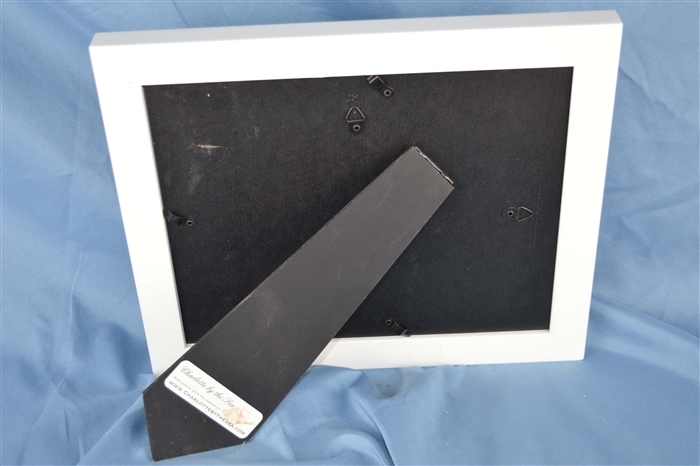 Back photo is an example of the type of frame used.